This beautiful lamp features a black colored frame with natural cotton as a liner. 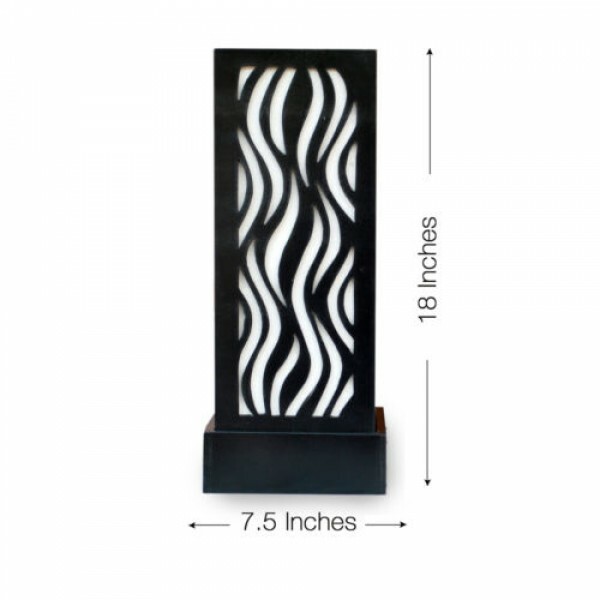 This is a style that is both modern and elegant to fit any home decor. 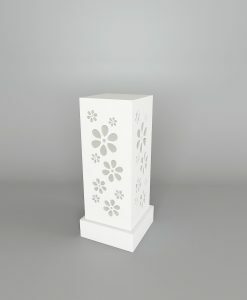 Designed with fire flame pattern, this lamp is made of good quality mdf carving is one of the table lamps which shows estetic element suitable for your room. 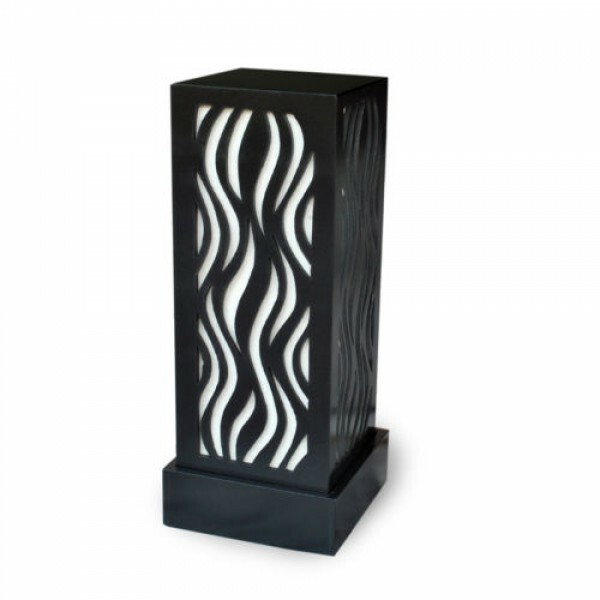 Flame Pattern Table Lamp by DecorNation – Night Lamp / Table Lamp / Floor Lamp About the Lamp. 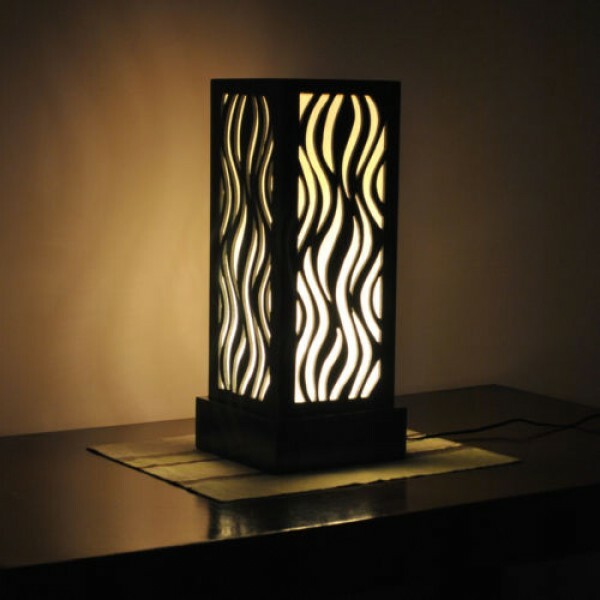 This beautiful lamp features beautiful curve shaped frame with natural cotton as a liner. This is a style that is both modern and elegant to fit any home decor. Designed with multiple Flame pattern. 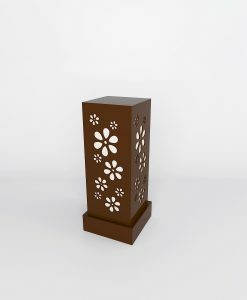 This lamp is made of good quality mdf carving is one of the table lamps which shows aesthetic element suitable for your room. 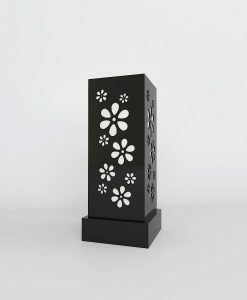 Features of the Lamp: Unique lighting for creating great ambiance Built with a beautiful dark MDF frame. Unique Japanese Thick Circle Pattern. Requires 60W incandescent bulb (not included). FREE Shipping. 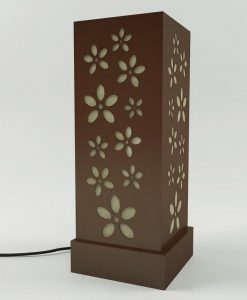 Specs of the Lamp: Setting: Indoor Fixture finish: White Shade: Cotton Number of lights:  1 60w bulb not included Dimensions: 18 inches x 7.5 inches x 7.5 inches *Due to the calibration differences between computer monitors & tablets, etc. the color may vary slightly from what you are viewing. We try to describe our items as accurately as possible, but if you have any questions or concerns, please don’t hesitate to contact us.